1. There are four orders, viz. the order of householders, the order of students, the order of ascetics, and the order of hermits in the woods. Asrama or ashrama literally means a hermitage, a shelter, hut or a dwelling place for the ascetics. It also means a refuge or a resting ground. In the Vedic tradition asrama means a stage in the life of a human being. Hindu tradition recognizes four stages or asramas in human life, namely brahmacarya, grihasta, vanaprastha and sanysa. Of these people had the option to enter into all the four or the first three. Not all people entered into the fourth stage. And among those who entered into it, a few resorted to it directly from the stage of brahmacarya without the intervening two stages. If life is a learning and evolving experience for the beings upon earth, the four stages become the four stages of a being's learning and advancing process. From rebirth perspective, human life is the most precious because in a human body the beings are endowed with intelligence which enables them to discern truth and make wise decisions which may eventually lead to their liberation. Among all the species in the universe, only human beings have the ability to attain Brahman and enter into His immortal world. The asramas provide a great opportunity to prepare them in stages to reach that exalted status. In terms of duties and responsibilities, the four stages are not equal. If life is a sacrifice, the four stages are the four parts of a great sacrifice. If the lifespan of a human being is compared to a day, the first three stages constitute the day and the last one the night. The first three constitute the morning, the mid-day and evening sacrifices in which the worshippers make offerings to the sun and the fourth the night when one withdraws from all activity and prepares for rest. The symbolism and significance of the four asramas in human life, based upon my study and understanding, is illustrated below. A person is expected to perform different types of duties (shramas) during the four stages in order to attain moksha, the fourth and the highest aim of human life. Assuming that the life of an individual upon earth is about 100 years for each birth, each ashrama covers roughly a span of 20-30 years. In terms of time spent the four stages are neither equal nor the same for all individuals. The time spent in learning their respective professions varied from caste to caste and also in meeting their obligations as householders. Some castes were not required to enter into all the four stages. According to some even the Kshatriyas had the option to enter into only the first three. The Asrama dharma was not applicable to certain castes and women. According to the Brihadaranyaka Upanishad, when Yajnavalkya decided to renounce worldly life, he entrusted the family matters to his two wives and went to the forests alone. Women undertook some responsibilities in the households and assisted their husbands in performing their duties, but they were not expected to enter into all the four stages as the men did. The period falls approximately from the initiation ceremony (Upanayana) until the end of the studentship. In olden days, it usually began with the departure of the student to the house of his teacher following the upanayanam ceremony, which marked his birth as dwija or twice born. During this period young children were expected to enter a gurukula, live there under the care of a guru or learned master and become educated in the Vedas and other scriptures. The students had a responsibility not to abandon their education under any circumstances. Only death should separate them from their masters. They were not to stay anywhere else other than in the house of their teachers whom they had to obey all the time except in certain cases like actions (of the teachers) that led to the loss of their caste. They were also expected to observe austerities like not taking bath with hot water, not using perfumes or ornaments, in addition to practicing complete celibacy or brahmacarya.  This was also the time during which a student became conversant with the academic aspects of dharma, the first aim (purushartha) of human life according to Hinduism. Some of these rules prescribed for the students in the gurukulas varied depending upon to which caste they belonged. If the teacher was a Ksatriya, the Brahmana students under him had some liberties. They were not expected to serve their master directly as the other students, such as fetching him drinking water or arranging for his bath, or perform menial services in his household. Once a student returned to his home from the gurukula after completing his education, having developed his body and mind fully and became adept in the Vedic knowledge, he was entitled to get married and lead the life of a householder. The Hindu law books prescribed that as a householder a person should take the wife an equal caste who was not married before, who did not belong to the same gotra and who was younger than him. He should work in order to increase the wealth of his family and pay the religious debts he owed to his father, ancestors, rishis and other beings. He should take care of his parents and grand parents, children and wife by performing necessary duties of a householder towards his family in addition to performing his social duties such as preservation of dharma and varna, honoring the guests who came to the house and helping the poor and the needy. He should perform religious ceremonies and make sacrificial offerings as prescribed by the scriptures. He should also recite the Vedas, avoid the food of outcastes, approach his wife in proper season, wear the sacrificial thread, observe austerities as prescribed and feed the animals and the hungry. A householder pursued artha (second purushartha) and kama (third purushartha) in the prescribed manner during this period based on the knowledge of dharma (first purushartha) he gained during his studentship and prepared himself ready for the moksha the fourth aim of human life. This period began when one's skin began wrinkling and one became a grand father. During this period a person was expected to move away from worldly matters and get himself ready for his spiritual journey to attain moksha (the fourth purushartha). He was to do this by delegating his duties to his children, leaving his family and possession behind and moving into a secluded place such as a hermitage or the forest . There he should live like an ascetic and spend his time practicing austerities, offering oblations, reciting the Vedas and the metaphysical treatises, and in the acquisition of the knowledge of the self. He should wear a garment made of cloth, skin or bark to cover his nakedness, wear his hair in braids, remain chaste, restrain his speech, actions and senses, subsist on wild growing roots, fruit and vegetables, honor the guests who visited his hermitage, give gifts but not receive any, bathe three times a day, promise safety to all beings and animals, sleep on the ground and so on. These observations were aimed at controlling ones mind, overcoming passions and developing detachment from the sense objects and preparing oneself for a more rigorous life as an ascetic (sanyasi). During this period a person might take his wife along with him only if the latter agreed to accompany him. 10. Or cover his body with a skin or with grass that has been nibbled at by a cow. 11. Let him sleep on the bare ground. 13. (Dwelling) at the extremity of the village, in a temple, or in an empty house, or at the root of a tree. 14. Let him (constantly) seek in his heart the knowledge (of the universal soul). 16. Shall not wander about within sight of the village-cattle. 18. (Let him) not (wear) any visible mark (of his order), nor (follow) any visible rule of conduct. 19. Let him, though not mad, appear like one out of his mind.